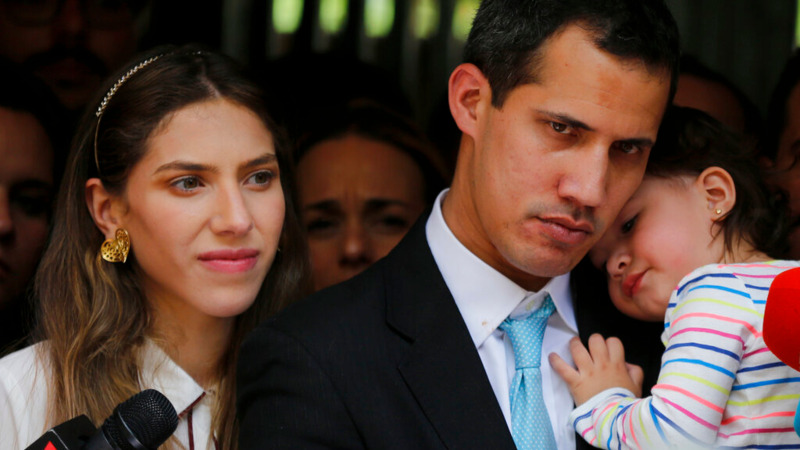 A visibly flustered but determined Juan Guaido told a crowd gathered at a university that members of a special police unit known for its brutal tactics had gone to his high-rise apartment in a middle-class neighbourhood of Caracas while his 20-month-old daughter was inside. In a statement on Twitter, Venezuela's police denied that special agents had gone to Guaido's home, dismissing the claim as "totally FALSE". Guaido is at the centre of Venezuela's political upheaval as he presses forward with establishing a transitional government after swearing himself in as the nation's rightful president in a move denounced by Maduro as a U.S.-backed coup. In a country where the socialist leader's foes often end up behind bars, Guaido has thus far managed to avoid arrest, but in recent days authorities have let it be known that even as his powerful international support grows, Guaido isn't untouchable. U.S. officials who have warned Maduro will face "serious consequences" if he harms Guaido, denounced the incident as a disgraceful intimidation tactic. "Regime resorts to targeting a 20-month-old baby," Kimberly Breier, the current U.S. assistant secretary of state for the region, wrote on Twitter. "Shame on you Maduro". 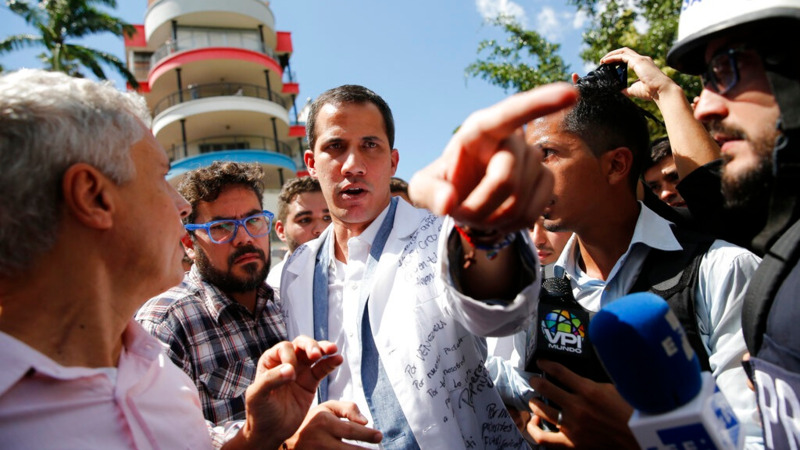 Later Thursday, Guaido told The Associated Press that he will defy a government ban on humanitarian aid by sending large convoys of medicine into the country with the help of neighbouring nations. He said the move will be a "new test" for Venezuela's military. 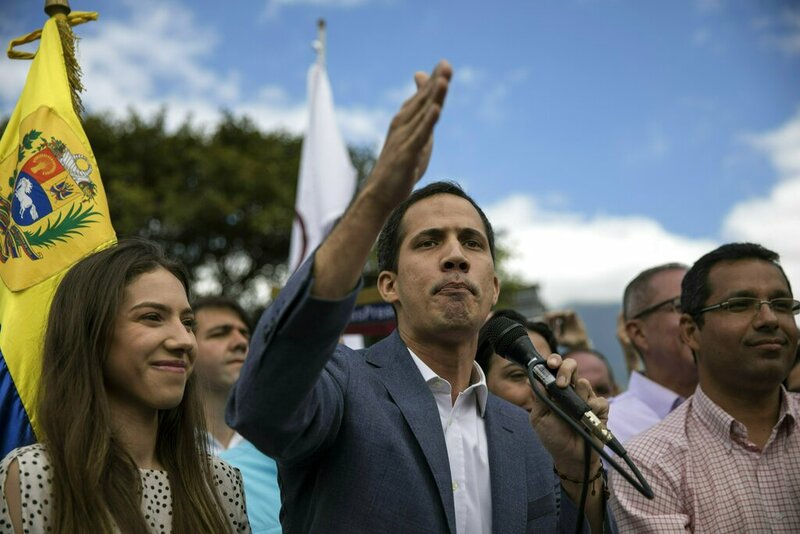 "In a few weeks they will have to choose if they let much needed aid into the country or if they side with Nicolas Maduro," said Guaido. Guaido explained that aid for Venezuela will include life-saving medicines that are scarce in the country, and will be transported by vehicles arriving at several border points after it is shipped into "friendly ports" in neighbouring countries. "We are not just taking aid from the United States," Guaido explained. "But in the next few days we will announce a global coalition to send aid to Venezuela." Maduro has been crisscrossing Venezuela overseeing military exercises and vowing to defend his socialist government no matter the cost. The military's top leadership is backing Maduro, though analysts warn that rank-and-file troops frustrated by their country's economic and humanitarian crisis, may not share their unwavering loyalty. Reverol said security forces seized two rifles and 500 armbands bearing the letters "OC," which he said stands for "Operation Constitution". He accused Colombian intelligence, the CIA and exiled Venezuelan lawmaker Julio Borges, of being behind the alleged plot. The European Parliament called on the European Union's 28 member states Thursday to recognize Guaido. 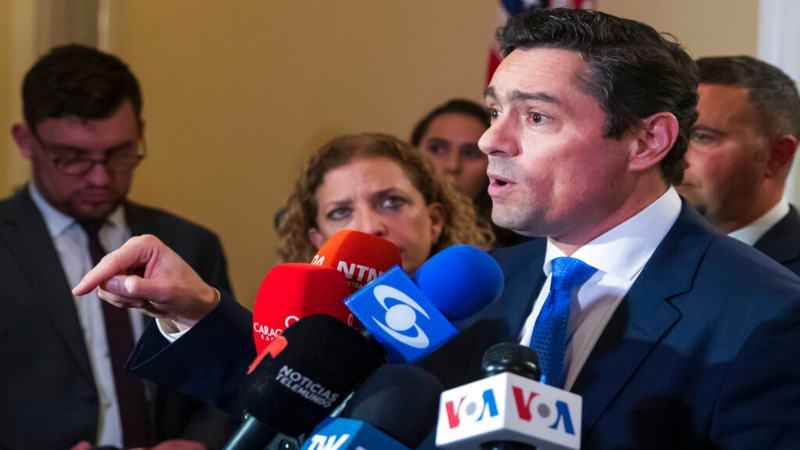 The regional bloc has not yet defined its position on the crisis amid differing opinions among members, though several nations have said they will recognise Guaido if Maduro doesn't announce a new election by week's end. Guaido reappeared Thursday night to address dozens of neighbours and thank them for not letting state security forces intimidate the community. He is urging Venezuelans to take to the streets again Saturday for a mass protest demanding that humanitarian aid enter the country, something the Maduro government has regularly refused, denying that a crisis is under way.